Next stage we move to Cornwall for a week and base ourselves in Redruth, working at Miracle Theatre’s rehearsal space, part of Krowji. We were warmly welcomed by the Miracle Theatre team and enjoy feeding the wood burner in the old music room which comes alive when the sun beams in. Here in Cornwall we are working with our first audiences and this brings a new excitement and nervousness to the process. We are well supported by Becca Hulbert and Sally Crooks, who were a big part of our Oxygen tour. Great to see them and some familiar faces amongst the folk who join us the beginning of this experiment in developing a new play. Claire runs a singing workshop during this week which is really well attended and fills the room full of song and joy and gives some musical scoring to the performed reading. 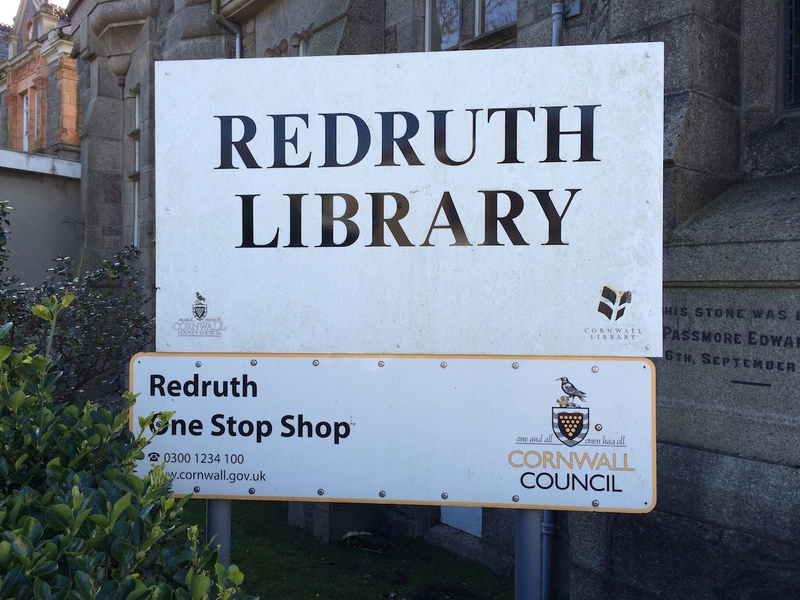 Natalie heads over to Redruth Library to do the first of her Roadshow drop ins in Libraries. 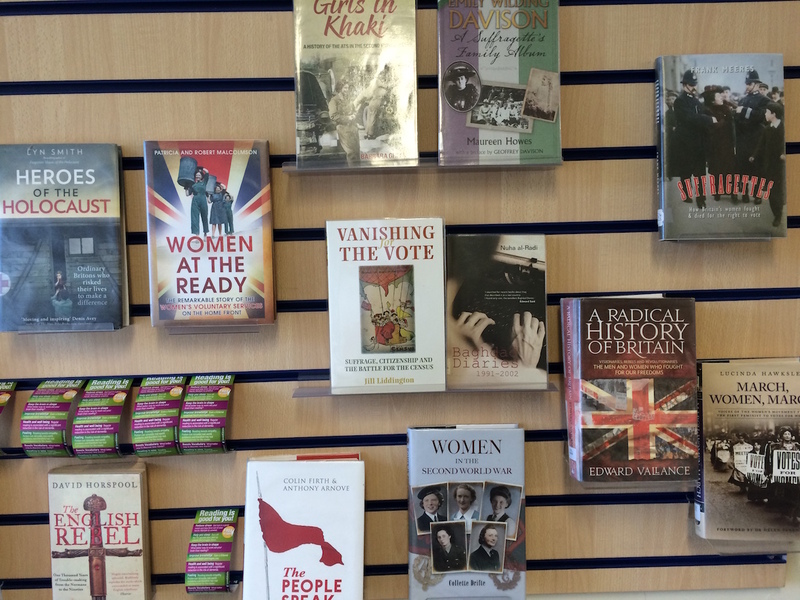 Redruth Library have put on a display of books about the Women’s Suffrage Campaign and activism. Josie decides to have the reading in Traverse, with the audience on each side. 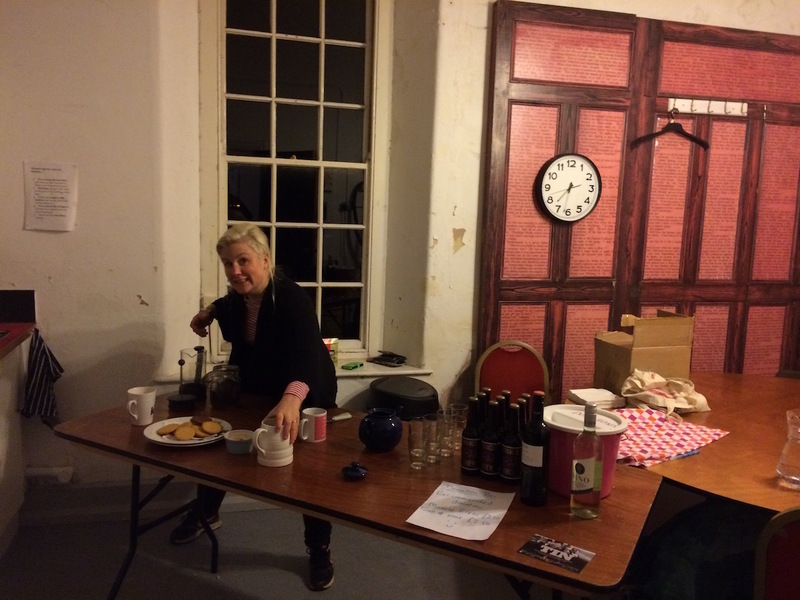 We put on the kettle, make sure there is a big pile of wood for the burner, which we had to ask one of our audiences to keep stoked, there is even some Miracle Brew for those who feel like a beer! 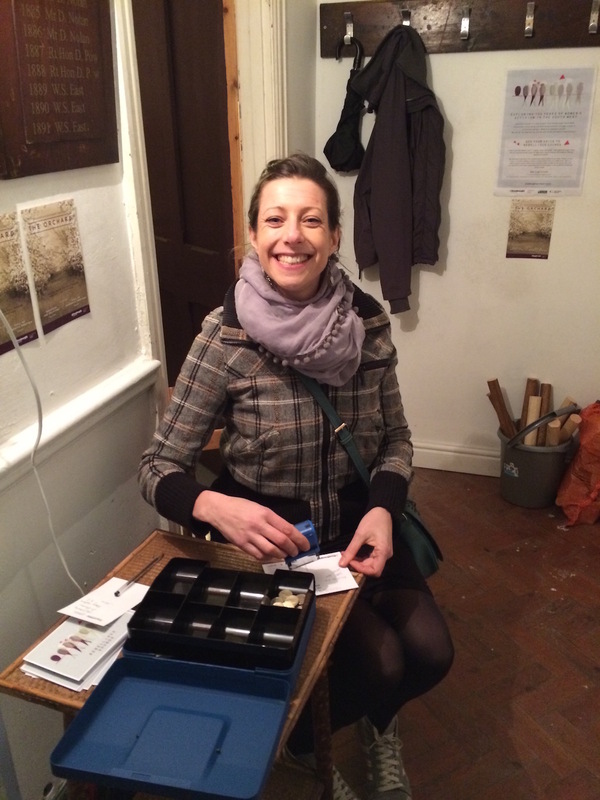 When folk arrive we welcome them into the space and Josie makes the first of many introductions. 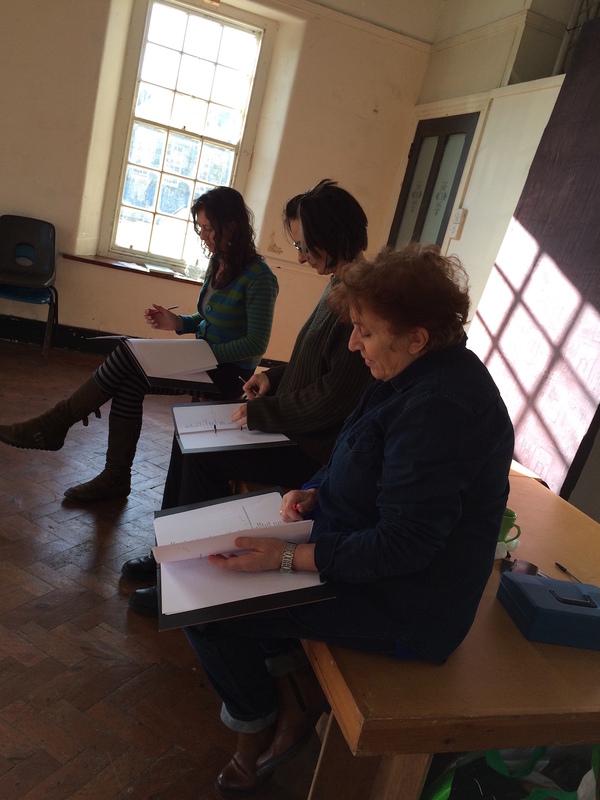 Then there is a shared reading of the script, and finally the first of our discussions with audiences. 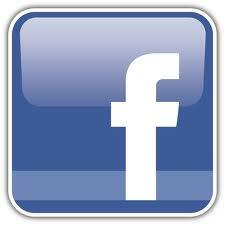 People are very engaged and generous with their responses, very considered, and honest. It is really revealing of the content of the play and what it illuminates. We keep the room warm and the kettle boiling throughout. It is March after all.